Amazon is extending its reach in sport, but recent mumblings around the NFL might show that the plan is to be more than just a broadcaster. The World Cup always sees a technology break through into the mainstream. This tournament might be the rise of the podcast. As France’s top broadcast names create their own answer to Netflix, and Britain’s equivalents ponder doing the same thing, we ask what this means for the future of sports broadcasting. England’s opening group game drew a serious audience on the BBC. And iPlayer requests shows why providing a choice of viewing methods is so important. James Massing of NFL International takes a look at the changing face of sports consumption – and explains why changes must be embraced, not resisted. Amazon picks up rights to Premier League games as fragmentation increases for football fans in the UK. 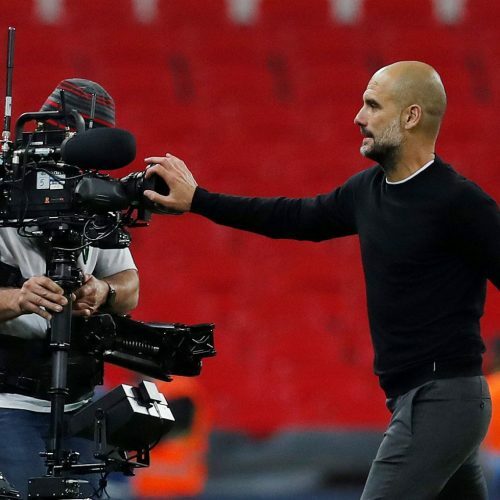 The content on the websites of Roma, Liverpool and Manchester City shows how much stock football clubs are putting into creating their own content – and a wealth of different kinds. Sky Sports face more media rights issues as PGA Tour moves to a rival broadcaster. Ligue 1’s new media rights deal will shoot French football up the ladder of most lucrative leagues in Europe – but what does this mean for the rest of football?